The Library Foundation is an independent not-for-profit 501(c)(3) organization that secures private funding for the Topeka and Shawnee County Public Library. Our purpose is to ensure the future of our library. We do this by helping secure financial resources to support collections, programs, services, technology and physical facilities of the library. The library depends on private donors to supplement and strengthen the public’s investment in this vital community resource. Every gift is important, no matter the size. Why choose the library among your philanthropic pr iorities? 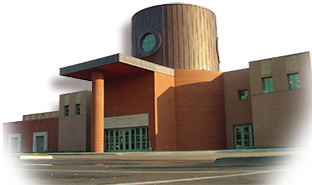 The Topeka and Shawnee County Public Library provides a safe and nurturing place for children and families. Our services are readily available to all local residents. Our services reach out to the community through creative partnerships. We are your library for life. Services such as Bookmobile and Red Carpet – Senior Services ensure that citizens who are elderly, disabled or homebound can still be kept connected to their library. We help bridge the digital divide.